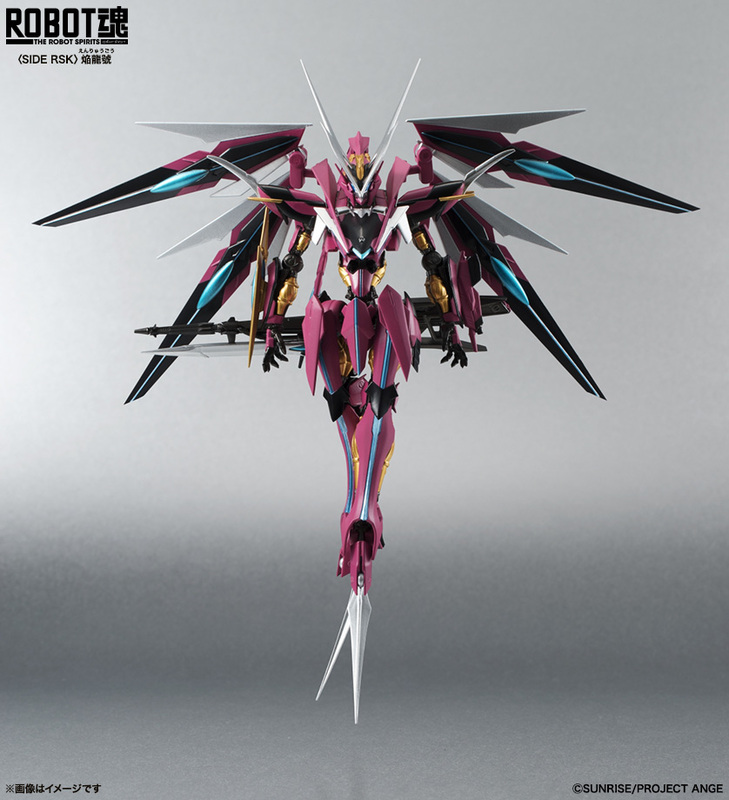 From Cross Ange comes this Robot Damashii figure of Princess Salamandinay's Ragna-Mail, the Enryugo. 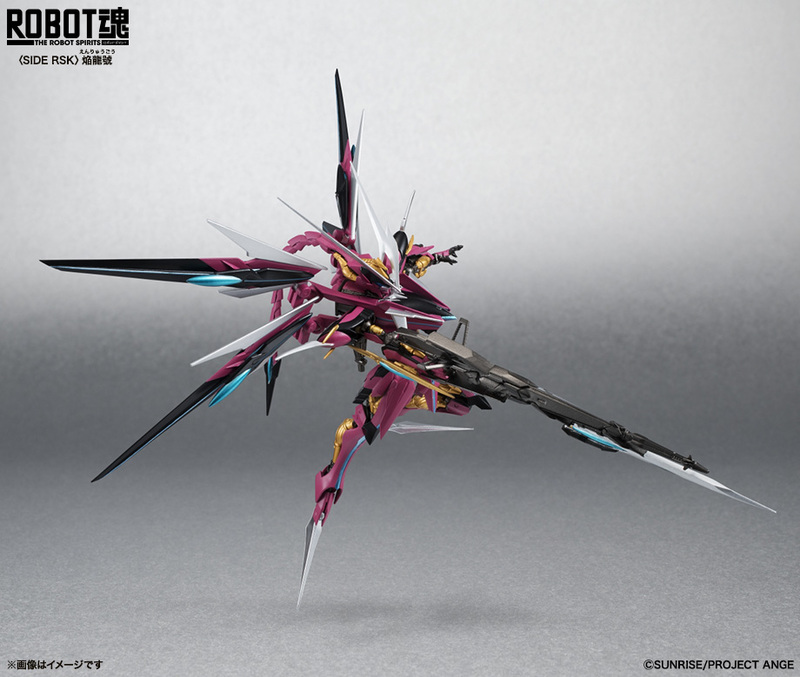 The dragon of flames is equipped with a large beam rifle and features movable wings, as well as the ability to transform into flight mode. 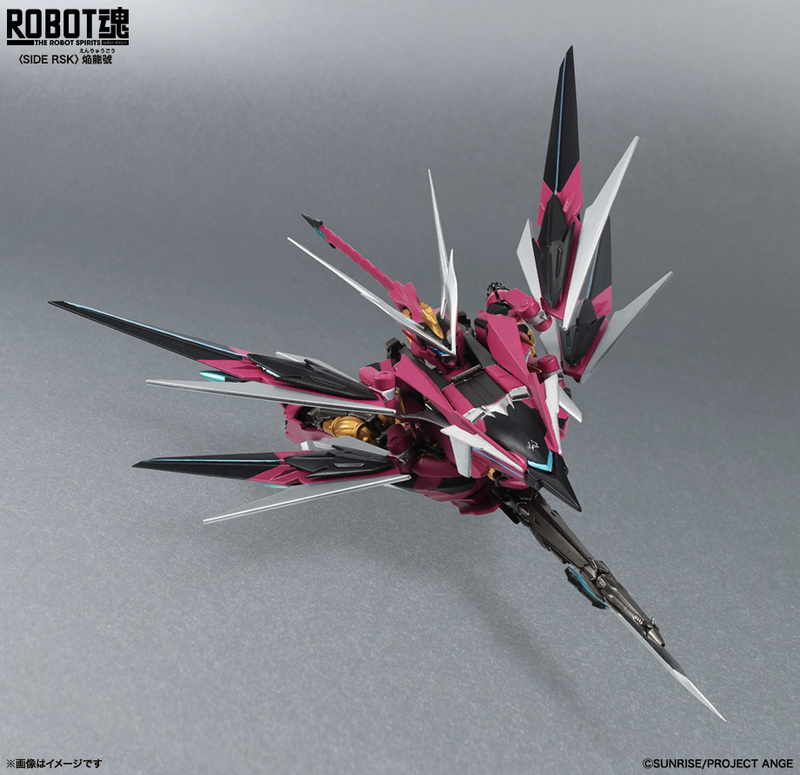 Scheduled for November 2015 for 8,500 yen.